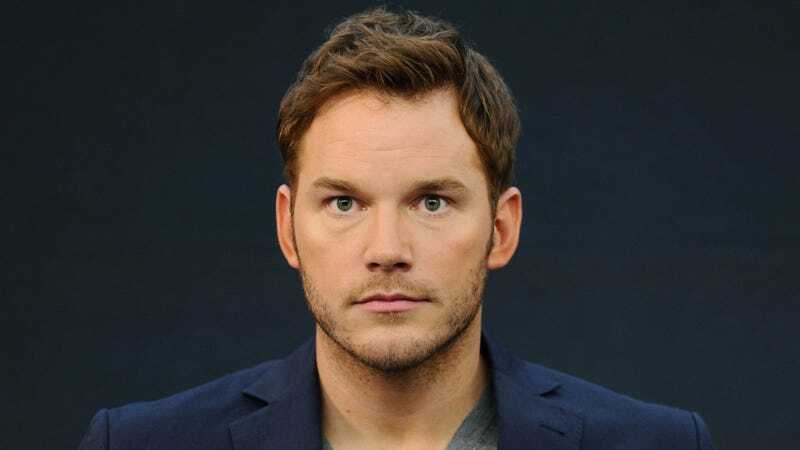 Apparently there's been some grumbling lately from people who identify as "Chris Pratt early adopters," unimpressed with the Jilly-come-latelies swooning over Guardians of the Galaxy. And to those Chris Pratt hipsters I say, you guys are being ludicrous. ...ly LEGIT!!! BECAUSE I AM ONE OF YOU. Chris Pratt is the only male celebrity that my fiance bothers to tease me about. And that is because he is the funniest, most hottest male celebrity currently celebritating, and I have been busy knowing that he was the funniest, most hottest male celebrity for hella hella years. And I was in lady-love with Anna Faris for several years before that. I also do not have a preference between ripped Chris Pratt vs. regular Chris Pratt, because I LIKE CHRIS PRATT FOR WHO HE IS AS A PERSON, YOU SHALLOW FUCKS. So, you thought he was cute in Guardians of the Galaxy? Well, some people have been crushing on him since Everwood in the early 2000s. Suddenly charmed by his sense of humor? He's been on Parks and Rec for five years, you guys. ...The basic goal is for an actor to be likeable (or GIF-able) enough that their fans end up publicizing the movie for free.Jennifer Lawrence has been hugely successful as this kind of human meme-generator, and it looks like Pratt may be on the cusp of doing the same thing. DO IT, CHRIS. DO THE SAME THING.